SSC Recruitment 2018-1223 Sub-Inspectors, CAPFs & CISF Posts. 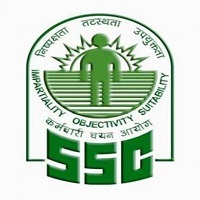 Staff Selection Commission (SSC) has released notification for filling up 1223 vacancies for the post of Sub-Inspectors in Delhi Police, Central Armed Police Forces (CAPFs) and Assistant Sub Inspectors in CISF. CISF – Vacancies will be intimated later. Selection Process – Selection based on Computer Based Written Examination Paper-I, Physical Standard Test (PST)/ Physical Endurance Test (PET), Paper-II and Detailed Medical Examination (DME). Job Title : – Sub-Inspectors in Delhi Police, Central Armed Police Forces (CAPFs) and Assistant Sub Inspectors in CISF Posts. Eligibility : – Bachelor’s degree from a recognized university or equivalent. For more details Read Official Notification. How to Apply : – Visit http://164.100.129.99/sicpo2018/ to Apply Online Application from. Read Official Notification.